As a result of increased unemployment rates around the world, any job vacancy is likely to attract a large pool of candidates. Thus, recruitment tests have become an integral part of the process of hiring and are now long been standard practices across the globe. Recruitment assessment tests in combination with psychometric tests serve a great purpose to measure and track skills of pre-hires and employees to determine the quality and productivity of the organization. It is often found that employment of an involuntary workforce paves a way to huge financial losses due to decreased productivity. The whole process of recruitment is often tiring and requires a lot of resources, energy, and time. Over the years it has been seen that the traditional recruitment methods don’t yield the best results as very less insight to the individual’s capabilities is obtained and his/her performance in the company cannot be determined. Based on the type of the test used, it is possible to obtain an insight regarding the candidate’s future performance in the work place. Employment Aptitude Test also helps in screening out ‘resume-spammers’ and consider the candidates with actual potential. Personality tests measure various human traits like competitiveness, cooperativeness and conscientiousness to understand the candidate’s relevance for the job position and his/ her ability to tackle the workplace stress. Skill tests mainly aim at testing skills of communication, typing, math, verbal and other micro-skills depending upon the job type. Aptitude tests focus on evaluating a candidate’s critical thinking, the ability to learn, problem-solving, analytical skills and others that help in comprehending with the challenges in the work environment. The businesses can frame their own tests by seeking assistance from experts in the field. These professionally developed and well-validated tests are accurate and provide consistent results. The test results are not just in the form of marks, but they provide an in-depth analysis on the candidate’s skills, competence, potential, aptitude, character, and workflow. It produces stellar results in a business setup to increase accuracy, reducing costs and speeding time to hire. 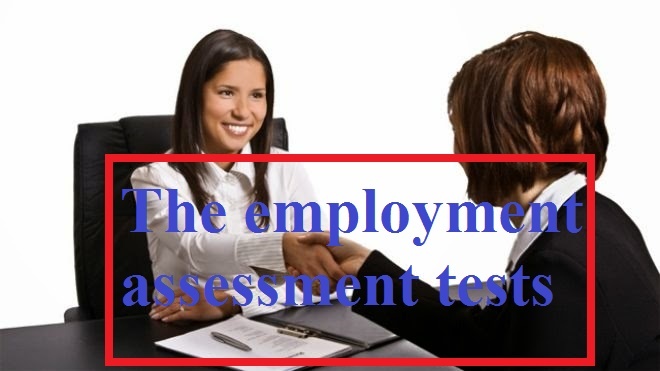 The employment screening tests to a far extent help in selecting the best candidates to suit the job position. With an increase in the rate of unemployment, a lot of applications flow in for a vacancy and the recruiters face a tough time in making the right decision to pick a staff. Employment Aptitude Test provides tremendous value for the companies that seek to find the right talent for the job position. By testing the applicants, it is easier to pick the most eligible individuals from a huge volume of inflated resumes. The test is often cited as an objective, standardized way of collecting data of the candidates in the process of hiring. Recruiters can access real-time test results and this scientific data helps in justifying the selection of the candidate. Professionally developed, objective, and data drove metrics when employed in the recruitment assessment process, help in decreasing turnover, reducing hiring and training costs and thereby increasing employee productivity.